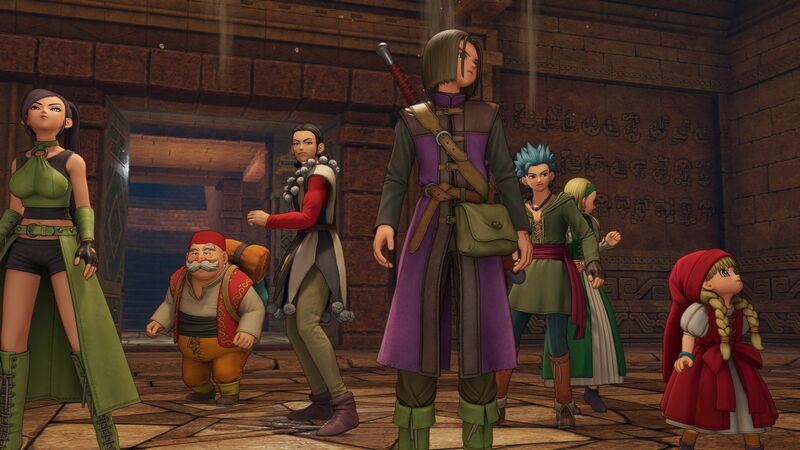 Dragon Quest is one of the prevent-the-apocalypse adventures that paved the way for the JRPG, and its huge success in Japan spawned many clones and competitors we love today. While some may consider Final Fantasy the breakout star of the genre, many look at Dragon Quest as the game that made RPGs possible back in the 1980s. Even with that level of impact and fame, Dragon Quest (initially known as Dragon Warrior in the US) never gained the same amount of traction in the United States or Europe as it did in the Japan. It’s often been overshadowed by other games in the same genre. 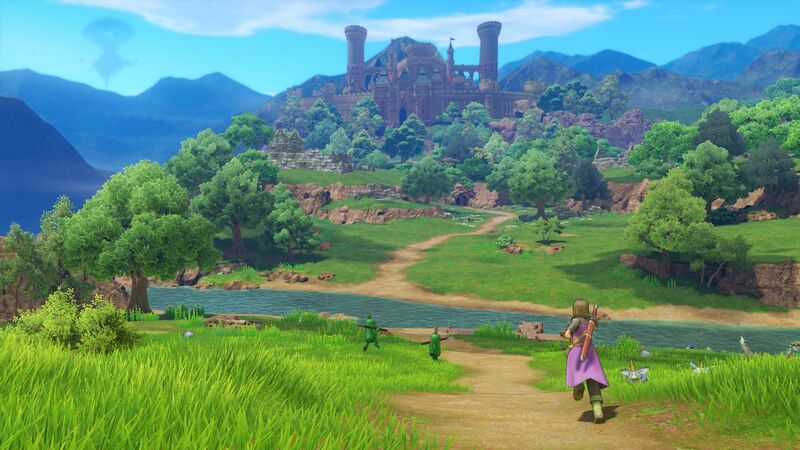 But now, with Dragon Quest XI: Echoes of an Elusive Age currently keeping slime lovers happy after a nine-year drought, the developers are hoping to change that. Uchikawa and producer Hokuto Okamoto didn’t just want to freshen up the game itself, they wanted to freshen up how it was localised for US and European players. The series has had a messy history of releases outside Japan, often marred by poor translation, a lack of advertising aimed at non-Japanese players, and some games in the series never even making it to the rest of the world. All this is why it’s had a historically lacklustre performance in the US, say the two developers. “We’ve had delays and all kinds of localisation issues that have had a lasting effect on Western audiences,” said Okamoto. “They haven’t been able to get attached to the series as they grew up. One problem the series has suffered is questionable translation decisions, including the localisation team adopting dialects and styles that weren’t present in the original Japanese script. In Dragon Quest IV, a courtly advisor to a king says: “His majesty is about tae make an announcement tae youse all, simmer doon an’ listen noo”. This voice didn’t match the Japanese developers’ intent (even if it was funny in some places). This time, however, they’re offering voice acting in the English version of the game and want to make sure the story of a 16-year-old turned prophetic hero (and all the characters’ fantastic puns) are some of the strongest aspects of the game, no matter what language it’s played in. 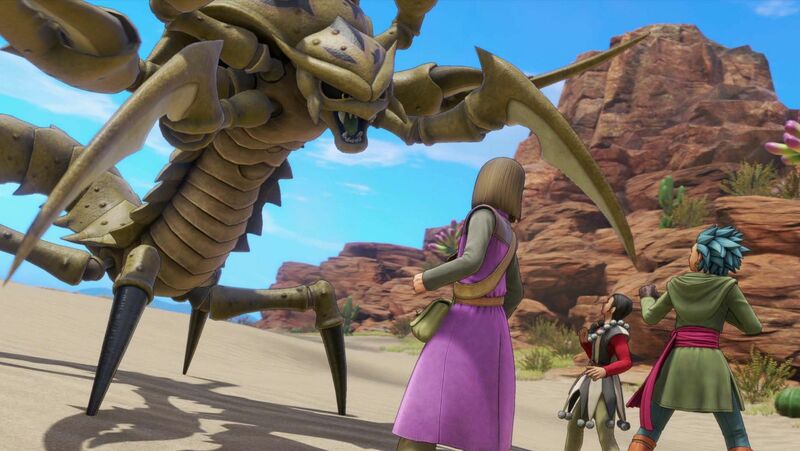 Even though Okamoto and Uchikawa focused on what’s new with the monster slayer, they insisted they weren’t making any changes to the formula that makes Dragon Quest a classic. Dragon Quest is known as a series that sticks to its roots, sometimes to the point of sticking too much to tired JRPG tropes. Those tropes include long, slow periods at the beginning of the game, stereotypical storylines in which the chosen hero has to save the world from some magical evil, and other clichés. 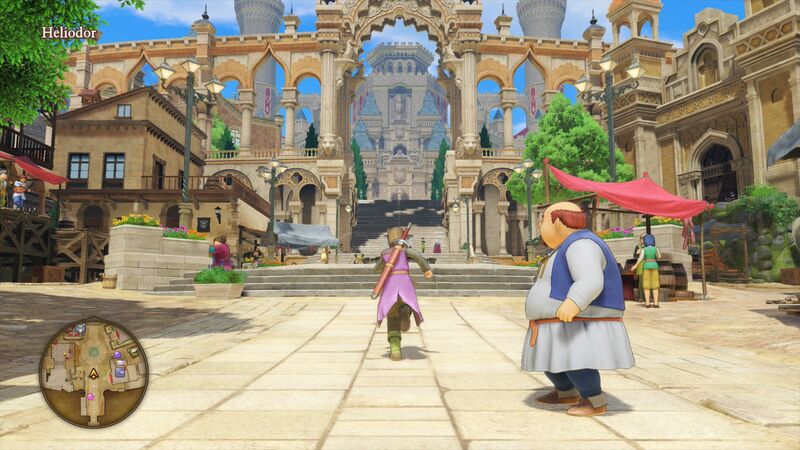 Although Dragon Quest XI feature a small town boy turned chosen one, the developers hope the more careful approach to accents and dialogue will make it more manga-like. 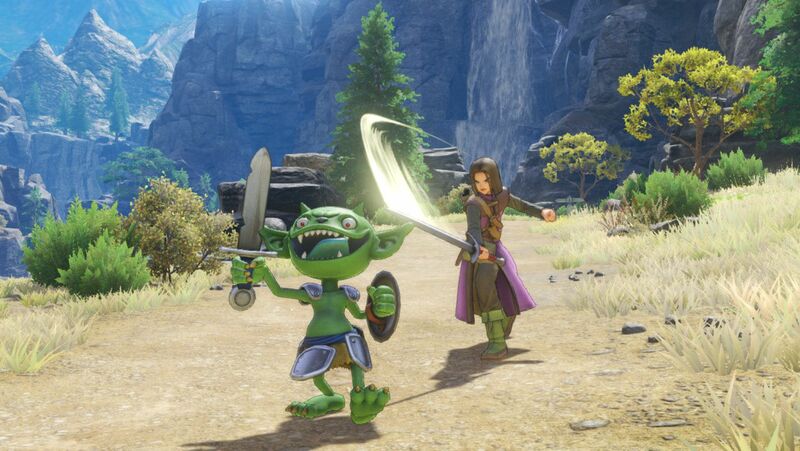 It’s also the first Dragon Quest game to launch on PC. Earlier ports have been made, but the series never grew roots on PC due to Japan’s general hesitance to embrace PC gaming. Uchikawa thinks the changes listed above alongside an expanded list of launch platforms can only be good news. Since its Western release on September 4th (it released more than a year ago in Japan) Echoes of and Elusive Age has received a mixed critical response, with some outlets praising its classic feel and others questioning it’s traditional approach to JRPG mechanics. 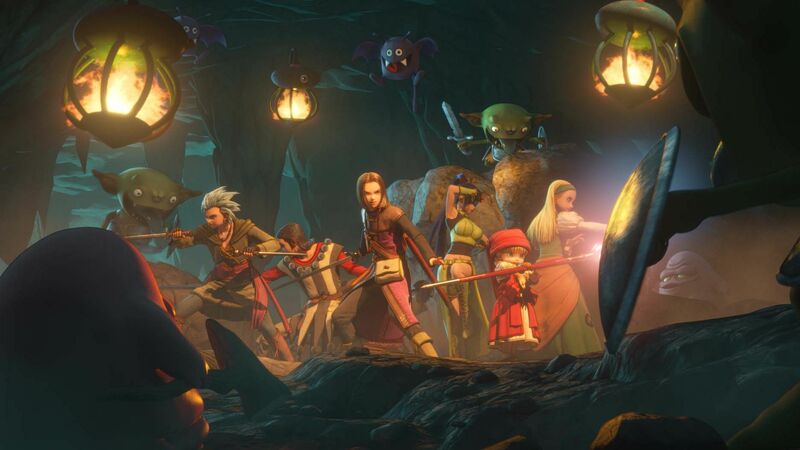 After spending some time with the game myself it’s easy to see where it is still marred by JRPG tropes that have hounded in the series in the past, even if new changes make them easier to swallow. But it’s admirable that they’ve taken a fresh look at their localisation efforts, and adopted a mindset that Western players, including PC owners, are just as important as their audience in Japan. I’m excited to see where the future of the famous slime slayer goes.